Conservative investors made the most out of their investments in 2018—at least among UITF investors in the country. Unit investment trust funds, also known as UITFs, are a type of pooled investment funds offered and managed by banks. Any individual can avail of these funds for a minimum of Php10,000. The Trust Officers Association of the Philippines (TOAP) lists a total of 220 funds that have been offered by their member banks to the investing public this year. Out of these 220, the industry association only has sufficient data on the returns on investment (ROI) of 175 funds, covering the period from January 5 to December 20 this year. Low-risk investors profited the most out of UITFs this year, considering that all 46 listed money-market funds are on the top of the list with the highest returns on investment. 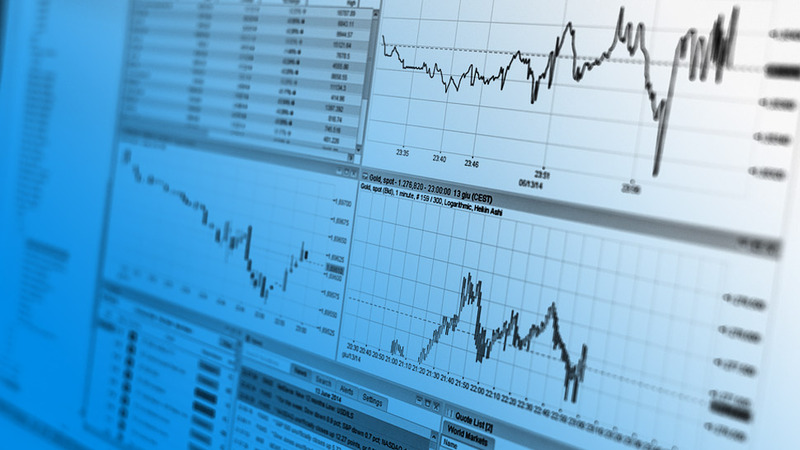 Money market funds are considered to be less risky than other types of UITFs, which are pooled bond and equity funds. This is because money market funds invest in highly liquid cash and cash equivalent securities. Meanwhile, bond funds, as the name suggests, are composed of bonds or other debt securities, while equity funds are composed of stocks. Balanced funds are composed of both bond and equities. 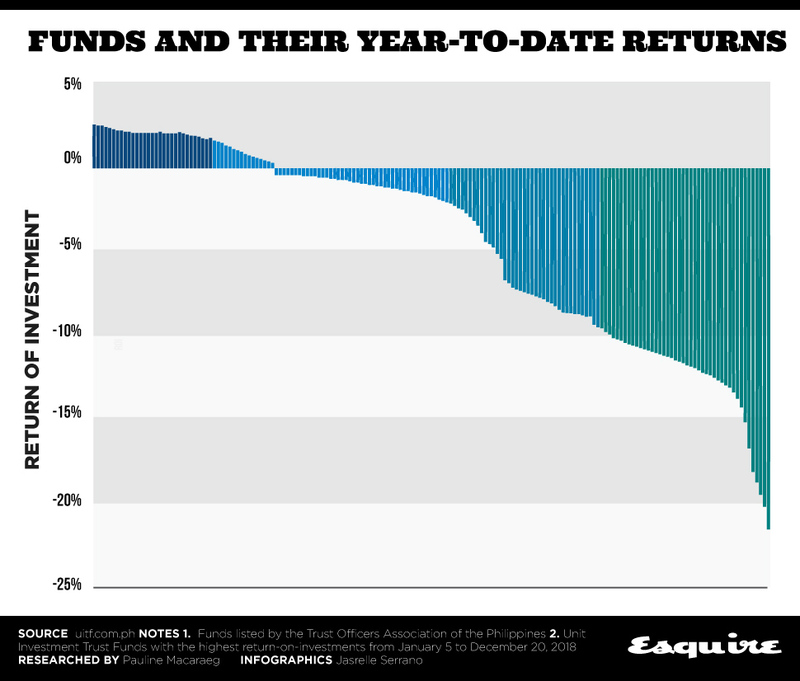 Unsurprisingly, equity funds are at the lower end of the spectrum—what with the dismal performance of the local stock market this year. 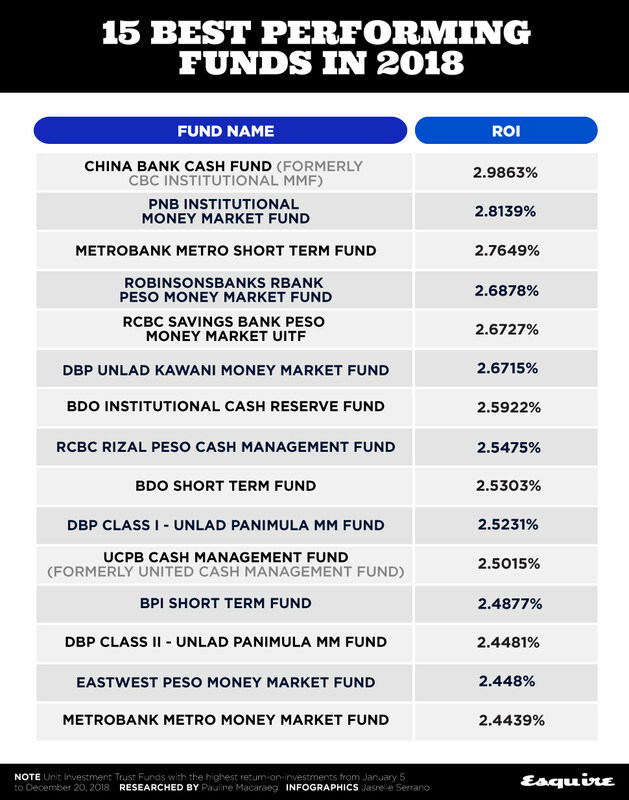 The lowest returns posted by a peso-denominated equity fund from January to December this year stood at -18.0240 percent, while the lowest ROI for a US dollar-denominated one recorded a glaring -21.9685 percent. All balanced funds also posted negative returns, while only eight out of 56 bond funds recorded positive returns for the year. This includes intermediate-term, medium-term, and long-term bond funds.